The Automobile Festival was created by Rémi Depoix and Franz Hummel in 1986 as part of the 24 Hours on Ice in Chamonix. “The Most Beautiful Car of the Year” was first designated the next year, in 1987. After two years during which the Jury appointed the winner, Rémi Depoix proposed to Jean-Claude Dassier, formerly Director of Sports and Special Operations at TF1, to launch an extensive public consultation on the air, basing its judgment solely on aesthetic criteria. At the time, the minitel was the only and perfect way to communicate and win many votes (nearly 100 000 votes in the early years). Relayed by phone calls, the communication of the Automobile Festival is now based on the internet. Haute-Savoie was for many years the host of this election. In 2001, this event became The International Automobile Festival, after leaving the montagne for Place Vendôme, Paris. In 2006, the Festival moved to the Grand Palais two years in a row. 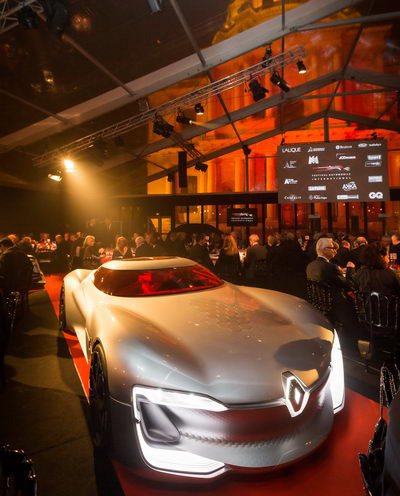 In 2008, the Festival reached a new step with a double premiere by organizing a major public exhibition of Concept Cars in an exceptional place, the Invalides. Since then, the Festival has taken up residence at the foot of the Dôme des Invalides. Every year, the event presents the most beautiful Concept Card and exceptional cars during 4 days.